Promo was given at Best Buy for Fallout 3 release. Size : 1 " (2.5 cm) each. One of 8 pins from Limited Emoji Collectible Pin Set 01. Blizzard Murloch Collectable Pin. Condition is New. Dispatched with Royal Mail 1st Class. Official Monster Hunter Product. PIN BADGES - SET OF 4. Resident Evil 2. 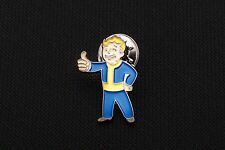 Deluxe Pin. Official Kingdom Hearts II.5 Remix Collectible Pin Badge. 2 clutch pins on the reverse. All units are sealed in original wrapper. 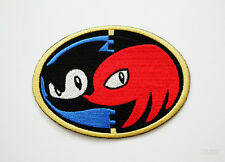 Nice button style badge, original SEGA product from the release of Sonic 2 (at the end of 1992 - around 25 years ago!). I usually reply within 24 hours. Official Ni No Kuni II product. Set contains 12 high quality pins. Official Marvel product. Pin badges based on each character icon and core value. Displayed in collector’s presentation box based on the movies. Splatoon 2 Promo Pins Brand New. Condition is New. Dispatched with Hermes Tracked. SONIC THE HEDGEHOG (SONIC ADVENTURE) JAPAN PIN BADGE SET! 1998 AMY ROSE EGGMAN ROBOTNIK E-102 TAILS BIG THE CAT KNUCKLES. 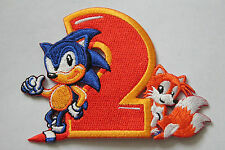 Included are individual badges of Sonic, Tails, Knuckles, Amy Rose, Dr Eggman, Big the Cat and E-102 Gamma. 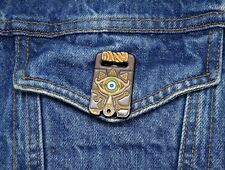 Calling all Zelda fans! 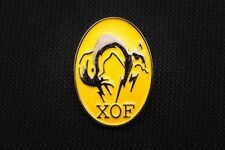 Each mystery box contains 1 randomly selected pin; among the 10 pins is a super rare Gold 'Z' Logo. But we opened the all for you! Each Quantity Equals One Blind Box. 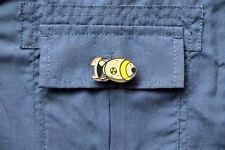 SONIC THE HEDGEHOG 3 PIN BADGE! 1990s SEGA LOGO COLOURFUL PROMO USA MEGA DRIVE! Unusual pin, there aren't too many of these around, would make a perfect addition to any SEGA fan's collection. Don't miss out! I usually reply within 24 hours. 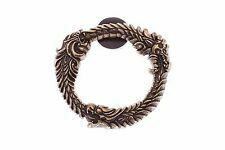 Assassin's Creed Odyssey pin badges. New listingSEGA SONIC THE HEDGEHOG DANONE LOGO ENAMEL PIN BADGE! OFFICIAL 1991 GAME PROMO! Back is marked (C) SEGA 1991. (Not the UK, we missed most of the good stuff ;P). I usually reply within 24 hours. Classic logo. I usually reply within 24 hours. Perfect as part of a Sega / pin badge collection! LE CLUB SEGA PIN BADGE! I usually reply within 24 hours. The official Assassin's Creed pins Collection - 9 different pins. Color : Antique Silver. Rare street fighter 2 badge. Packaging has a lot of wear and tear! But the badge is ok. Please see all pics before buying. These badges are really rare! Check out my other kids toys and clothes. *BRAND NEW* SEGA MEGA DRIVE CONSOLE 3 PIN BADGE SET & POP UP PRESENTATION BOX! Size : 1.25 " (3 cm) each.